When he's not out criscrossing the country chasing storms and tornados or photographing dramatic landscapes, Mitch Dobrowner still manages to keep himself very busy, and the first half of 2012 has certainly been no exception. Just last spring, Dobrowner found himself in London being awarded the prestigious L'Iris d'Or - 2012 Sony World Photographer of the Year. In winning the L'Iris d'Or, Dobrowner's photographs stood out from the work of 112,000 other photographers from 171 countries! Moving a little closer to home, Dobrowner was recently interviewed and showcased in the Los Angeles Times on June 5th in their Arts and Book section. Published online in their "framework" section, the interview and article "reFramed: In conversation with fine art photographer Mitch Dobrowner" included 33 photographs from his Landscape, Urban, and Storm series. The July issue of National Geographic Magazine ran an unbelievable ten-page spread devoted to Dobrowner's photographs titled "Epic Storms - Photography by Mitch Dobrowner." If you haven't had the opportunity to pick up a copy, we recommend it. 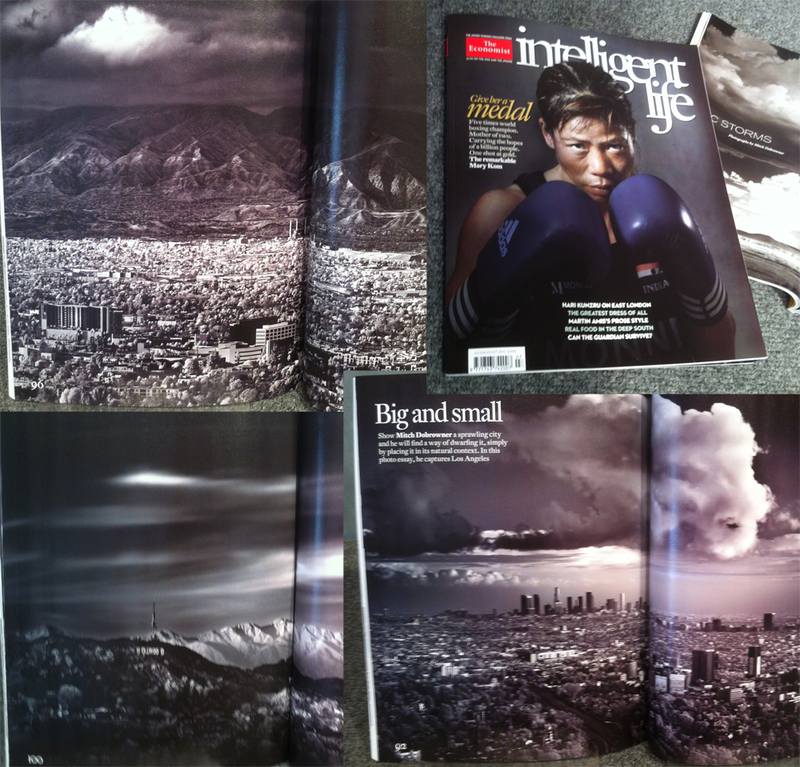 Also just published this summer, a selection of Dobrowner's Urban series (urban landscape photographs taken in and around the Los Angeles Area Basin) appeared in Intelligent Life Magazine by The Economist. The article is a photo essay titled "An Original Take on Los Angeles by Mitch Dobrowner." 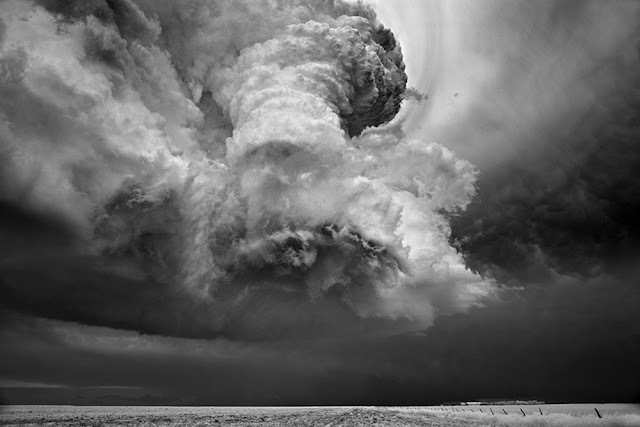 Lastly, the Independent UK: Photography Blog recently published: "A Chat with Sony World Photographer of the Year Mitch Dobrowner." In additional to all of this great coverage, Dobrowner has also just announced that he will be publishing his first trade edition book, due out for summer 2013. Dobrowner currently has two limited edition books (which are near selling out) published through 21 Editions: Prism Series. 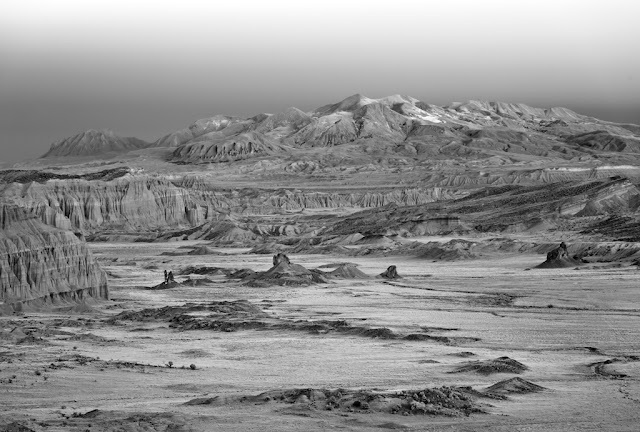 Please contact Anne Kelly, photo-eye Associate Director if you have any questions regarding Mitch Dobrowner work or if you would like to acquire his prints or books. Congratulations Mitch on your continued success! !